YOUR PLACE OR MINE? Home Game Show! This new home make-over show, recently wrapped six episodes for TLC combines room decorating with buzzer game show tactics. Opposing families compete for a chance to have their choice rooms in their houses to be decorated by design experts on the show. They have to answer a series of questions that consist of pop culture trivia in selected categories. If they answer all correctly, they win the furniture for the room. At any given time, the players risk getting one or more rooms stolen by the other family if that family gains control of the board and wins the category of questions. 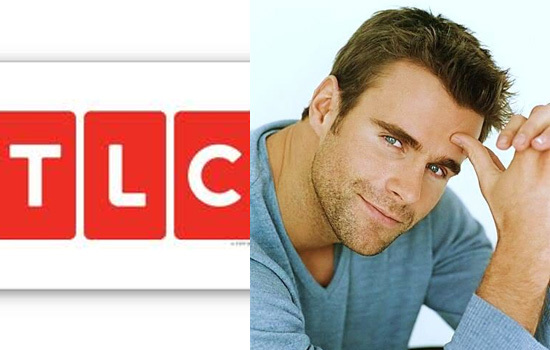 “Your Place, or Mine?” is hosted by “All My Children” soap opera star, Cameron Mathison”. He is a perfect fit for the show, and a game show producer’s dream. He displayed a high amount of energy and was very quick and concise with dialog, yet possessed a natural, engaging personality. Diane Mizota, co-host, on-location of “Your Place or Mine”. When the show airs, starting June 8th, viewers at home will have the impression that movers are at the families’ homes in real time. In actuality, all footage was pre-taped, and all rooms in question set-up with show furniture in order to accommodate any and all likely outcomes based on how the game is progressing in the studio. To create a sense of immediacy that isn’t really there, Cameron is talking to video of an on-location host, Diane Mizota, that is synced-up to his script. The concept of the show is a wonderful one. However, the show falls flat when it comes to the actual makeovers. Most rooms shown in the families’ homes appeared to need no makeovers at all. The spaces were free of clutter, with decent furniture. One audience member on set stated, “where’s the people that don’t have nothing?” eluding to the observation made by many in the audience, the families that the show was helping, didn’t really need any.